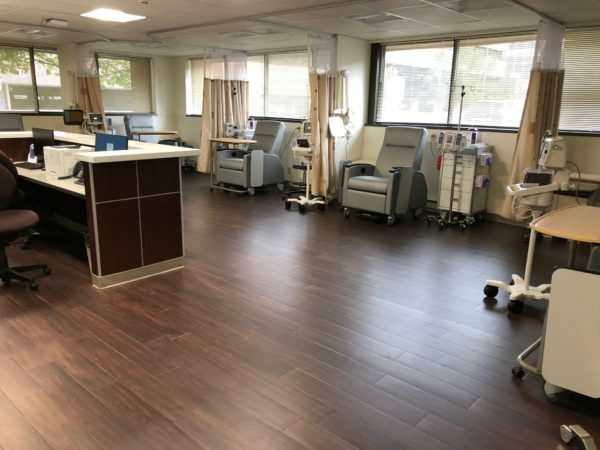 The MS Infusion Center at Missouri Baptist Medical Center is only infusion center in the region specifically for multiple sclerosis patients. Highly experienced nurses and nurse practitioner deliver attentive care to each of our patients. Ocrevus, Lemtrada and Tysabri are monoclonal antibody infusion therapies given to multiple sclerosis patients at the center. In addition, MS patients having exacerbation are treated with steroid infusions with Solu-medrol (methylprednisolone). The center focuses on patient comfort with reclining chairs with individual TV monitors. Most importantly, the nursing staff is wonderfully skilled and compassionate.